is conversation for its own sake." The definition of small talk from Wikipedia continues: "small talk is an informal type of discourse that does not cover any functional topics of conversation or any transactions that need to be addressed." There's a reason they call it small talk, because it is, and it is. I also read where it seems to be introverts who hate small talk more than others. I think I'll choose to not go there right now. . .
Back in Wikipedia, one of my favorite sources for so many topics is the purpose of small talk. It says, or they say, (after all, a person or persons wrote this), "In spite of seeming to have little useful purpose, small talk is a bonding ritual and a strategy for managing interpersonal distance." They list that it is mainly used in three ways: "1. Conversation opener, 2. At the end of a conversation, as suddenly ending an exchange may risk appearing to reject the other person, and 3. Space filler to avoid silence." There you have it--the dreaded silence! Who has the last word? And, let us open up some potential communication. I am amazed at some of the questions that are asked to open that conversation up, especially considering that the conversation called small talk is intended to be very short. So, yesterday at the bank, where small talk is demanded by their bosses, the first obligatory question was, "how's your day so far?" I said, "Wow! It's pretty fricken awesome!" She said, taken aback, "well what makes it so awesome?" I said, "I'm so excited and pleased that my judgment of others and things has decreased so dramatically. I was just flashing on that as I drove up. In the past, I used to judge people and things without thinking even, like hating graffiti and condemning the person who did the act, etc. I was judgmental about everything. And now, I judge very little, and I look at the person doing the deed with compassion, because I have made plenty of mistakes, done silly things, said hurtful things, and who hasn't? They're just acting out, following suggestions without thinking, trying to belong and stuff. Now I can see all of that and so I let all the judgment go. And I was feeling really good that this has come to pass in me." She and the other tellers who were listening were almost speechless. I'm sure they were thinking that there isn't any customer that gives them answers like that. Or maybe they do. Open the door, and in comes something unexpected. And, NOT small at all. Plus, it was all so true. I was feeling fricken awesome, so happy with myself that I realized a grand amount of progress on becoming more of an unconditional lover and practicing more compassion, and a deeper understanding. All this mainly by removing my ego from the control of my existence. After I left the bank, some thoughts came through me. I was thinking about judgement and discernment. So often people might think they are the same thing, but the spark to me was they are very different. Judgement is the control of the ego, in that someone or something is less than and we are greater than, they are wrong and we are right, they are out of control and we are in control, they are bad, and we are good, they are losers, and we are winners, and a few thousand other comparisons. As Shakespeare said so long ago: "Nothing is either good or bad except the ego thinks it so." Or something like that. 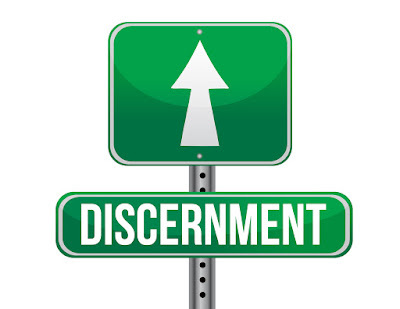 . .
Then, I thought about discernment. After all, it came through me, what was I to do with it? Well, one way to see the difference would be to say that judgement is to say (in your mind or aloud as you choose) what you think and how you feel about someone or something based on things you believe, or a simple was to say it is that we express what we think and feel, and discernment is to consider our perception, or in a simple way, to think before we say or feel. Judgement might be a statement of what-is, while discernment might be a consideration of what-is. A better way from the Teachings of Abraham would be that discernment is considering being in alignment with our inner being, while judgement is giving it no consideration whatsoever. Judgement lashes out, while discernment attempts to understand. Even better: Judgement is an emotional reaction, while discernment is a thoughtful choice. And, who are we to judge anyway? Wasn't it Jesus who said something to the effect of, "let he or she who is without flaws, poor choices, and lack of consideration of others, be the judge, while the rest of you might consider a little more discernment." I know it was something like that. . . 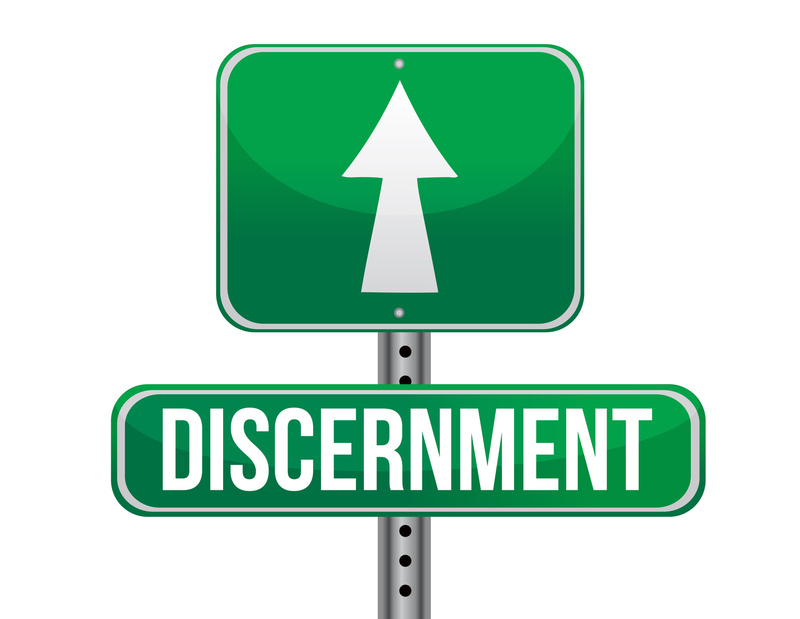 I'm All For More Discernment. Plus, It Feels So Good Compared To Judgment. Spread Some Joy Today--by discerning things and people throughout your day.